To create safe access routes and temporary blocking is an important work environment task. 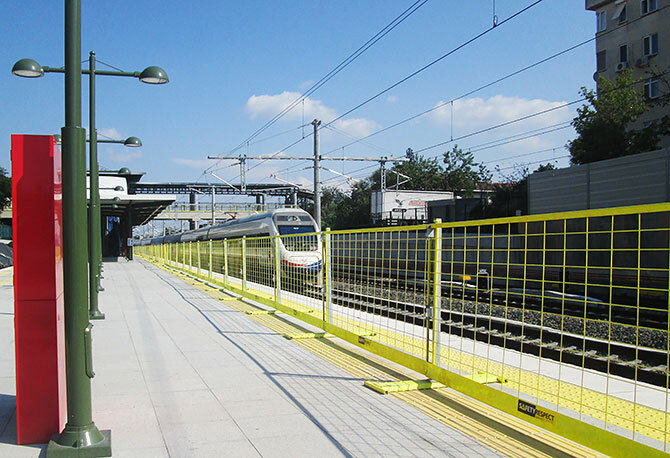 The Ground support plate can be used in combination with SafetyRespect’s edge protection products in order to create blockings, safe access routes, etc. Socket base, Post 1,3 m and Barrier 2,6 L or Adjustable link bars are installed on the ground support plate. This solution can be quickly installed and is easy to move and adjust when required.